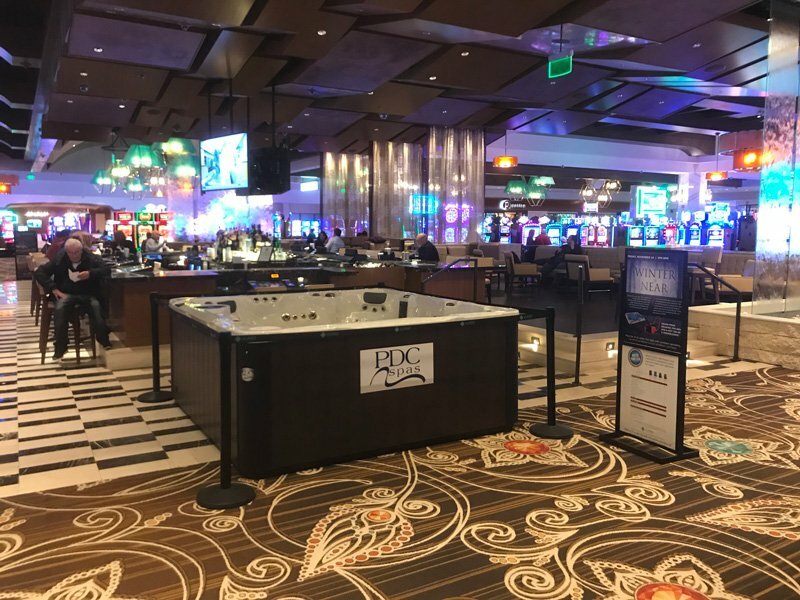 PDC Spas has partnered with del Lago Casino Resort in Waterloo NY, and will be giving guests the chance to win one of our top-of-the-line Bali hot tub spas on Friday November 24th, in addition to many other great prize giveaways. Visit del Lago Casino on Friday November 24th 2017 between the hours of 1PM to 8PM. You must have a Rewards Card inserted and actively playing to earn points and qualify for the prize wheel to win prizes. For every 200 points you earn, you’ll have the opportunity to spin the prize wheel at your favorite slot machine to win up to thousands in prizes instantly. Winners who receive a limited edition del Lago t-shirt will be invited to the participate in the Grand Prize Drawing, which will take place between 7PM and 9PM that night. One very lucky winner will win a PDC Spas Bali hot tub! If there’s no Grand Prize winner selected by 9PM, another drawing will take place at 10PM. For those who’ve never visited del Lago, this is the perfect opportunity to discover one of the area’s most luxurious gaming getaways. It’s not every day that we give away one of our most luxurious hot tubs, so don’t pass up this chance to win one of your very own! Mark your calendar or reserve your room at the Del Lago Resort & Casino for an exciting night out and the chance to win one of the most luxurious hot tubs available today. Read more about the Winter is Near promotion by visiting the Del Lago Resort & Casino website, or check out the PDC Spas Bali Hot Tub to see what could be yours! To learn more about PDC Spas feel free to contact us at 800-451-1420 toll-free, or locally at 570-323-3060. You can also write to us through our website’s contact page. We wish you the best of luck and hope to see you there on November 24th!